Why does AC service cost so much? First off with benefits, state and federal taxes and the cost for a professional technician is around $70 per hour in the Mocksville, Winston Salem area and about $90 in Charlotte; we call this ‘fully loaded cost’. Secondly, the cost of the technician’s truck and tools needs to be accounted for, as does the office staff that answers the phone and manages the operations along with the overhead of the AC Service Company. If you add these costs together, divide by the hours of all technicians the number comes out to roughly $60 per hour or more. Add this to the above-loaded cost and you get a ‘fully burdened cost’ of $130 per hour. Third, technicians can bill for about 70% of their time due to a variety of factors. You can estimate 30 minutes for travel to the job, but the averages are closer to 45 minutes. Things like warranty issues, getting to know our clients, technician training and office meetings are among the many things cannot charge for. time; Sometimes this is due to tech mistakes, manufacturers, hard to diagnose issues. If you take the $130 burdened cost and divide by 70% you get an ‘effective burdened cost’ of about $186. And last, note at the $186 per hour ‘effective burdened cost’ does not include a penny of return for the risk of investment by the ownership. Contracting is highly risky (only restaurants have a higher bankruptcy rate) so a 10% return on investment used in this calculation is very fair. Using a 10% return the rate to make a very modest profit brings the total to $200 per hour. How is it possible for some AC service companies to charge less? Our technicians are amazing, have clean backgrounds, are drug-free, and they are rarer to find. Mostly due to the type of technicians we have found professionals like engineers, IT professionals etc, and cross-trained them to the highest level of proficiency in our industry. Therefore were able to keep them because we treat them well and pay them even better. In addition, we choose not to have a super skinny staff that has difficulty communicating with customers; we choose not to work out of a garage. we do provide our technicians with excellent tools and each with a company vehicle. We feel this has a value to our clientele, and this professionalism allows us to keep our technicians happy to work as a team with the office. Also, some AC Service Companies don’t allow ample time for their Technicians to go above and beyond to serve their clients.We feel that our Technicians need the time to do their jobs properly, we honor customer issues with our work and fix ours (and our suppliers) mistakes at no cost to the customer. Excellent customer service does not come cheap. 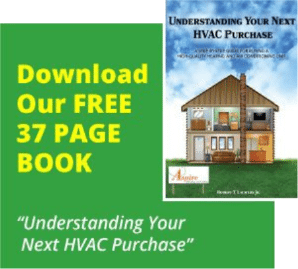 And finally, It’s incredibly common for AC Service Companies to go out of business; leaving their customers in a lurch for warranty issues and no provider on that hot or cold day where someone needs to fix an ailing system. For each bankruptcy, there are dozens of firms who struggle weekly to make payroll. This is no way to run a business for either the owner or the employees. An AC service company in a major metropolitan market like Charlotte who must pay a premium for techs, and have these techs sit in traffic, should be charging $300-$400+ per hour. Once you know some of the facts you can see that an AC service company charging up to $200 per hour is not ‘ripping off a customer’ but in reality simply trying to cover their costs and charge a fair rate of return.